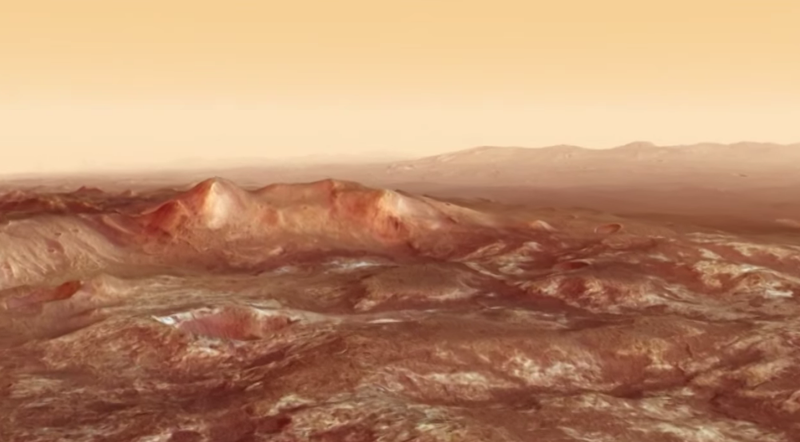 As you can see in this fly-over footage of Mars, chaos terrain is very aptly named. This video comes from the ESA, who stitched it together using images from the high-resolution camera on their Mars-orbiting Express, and it’s a good view of the mess of cliffs, peaks, sharply-drawn craters, weird faults, and occasional rolling hills that makes up chaos terrain. What caused such an odd configuration of geology, though? Researchers think that in this case, some of it may have been due to a (now disappeared) Martian sea. Settle back and enjoy your flight.